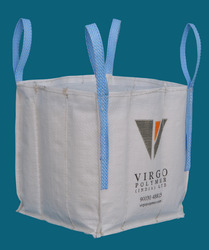 Leading Manufacturer of baffle bag from Chennai. These Baffle Bag also very popularly known as the Q-Bag is a wonder in the FIBC Industry. The bag is made in the manner to provide most cost effective solution for Bulk Packaging. The making of the bag is such that it gives a considerable benefit to the user while transporting and storing Bulk Material. Looking for Baffle Bag ?